On Friday, November 24, distinguished clinician Dr Ian Olson, and leading Scottish businessman Sir Tom Hunter, will each receive honorary degrees. On Saturday, November 25, the former Secretary to the University of Aberdeen, Roddy Begg, will also receive the honorary degree of Doctor of Honoris Causa (DHC), for his services to the University. Dr Olson was born in Aberdeen in 1939 and was educated at Hillhead High School, Glasgow, Robert Gordon’s College, Aberdeen, and the University of Aberdeen. Apart from a distinguished career in medicine and medical education, he has gained a reputation as an ethnologist and champion of Scottish folk culture. In 1969, he was appointed to the Medical Foundation Team of the University of Nottingham that established the first new UK Medical School in the 20th century. In 1974, he was invited, along with two Kuwaiti doctors, to join the University of Kuwait to establish a medical school and teaching hospital. On returning to Scotland and to clinical medicine, he retrained in order to look after mentally and physically handicapped children and young people. In 1979, he was appointed Clinical Lecturer in Mental Health at the University of Aberdeen, specialising in mental and physical handicap, with responsibility for the day-to-day running of a 120-bedded hospital and day-school of 40 patients. Dr Olson’s long-standing interest in Scottish ethnology has run parallel to his medical career. In 1994, he proposed that the University establish a Chair of Scottish Ethnology. The bulk of his research has arisen from an interest in Scottish traditional culture, especially music and song, and especially the Greig-Duncan Folk Song Collection, currently being published by the Universities of Aberdeen and Edinburgh. Sir Tom Hunter is a leading Scottish businessman who dedicates much time and personal resource toward philanthropic activity in support of education and entrepreunership. He currently operates a private equity business – West Coast Capital. Sir Tom was Chief Executive Officer of Sports Division from 1984 to 1998. He led Sports Division from modest beginnings to become the UK’s number one sportswear retailer and Europe’s largest independent sports retail chain. He opened his first shop in Paisley in 1989 and by 1995, Sports Division had achieved a turnover of £36million, had expanded to 40 stores and made a profit of £4million. The expansion continued later in 1995 with the purchase of Olympus Sports. In 1998, together with his wife Marion, he funded The Hunter Foundation (THF), a venture philanthrophy that invests in enterprise and educational initiatives aimed largely at children. Since its formation, THF has invested in excess of £13.5million into major enterprise and educational programmes including the Schools Enterprise Programme, and ‘Determined to Succeed’ where THF is investing £2million on a matched basis with the Scottish Executive to fund a number of new programmes across Scotland. The University of Aberdeen’s Scottish Teachers for a New Era initiative, which is revolutionising the way trainee and new teachers are education and supported, also benefited from THF funding. Sir Tom Hunter is also a director of the Princes Scottish Business Youth Trust (PSYBT) and Schools Enterprise Scotland, where he led the £5million fund-raising campaign to deliver enterprise education for all of Scotland’s primary school children. He is also a Trustee of the Carnegie Trust for the Universities of Scotland and Chairman of the Make a Wish Foundation in Scotland. Sir Tom’s philanthropic reach has now become international. He has developed a partnership with former US president Bill Clinton when in 2005, he pledged $100m to help poorer nations at the Clinton Global Initiative in New York. Sir Tom was knighted in 2005 for services to Philanthropy and to Entrepreunership in Scotland. A graduate of the University of Aberdeen, Mr Roddy Begg was a member of staff for over three decades. He joined Aberdeen in 1966 as Personal Assistant to the then Secretary to the University, Mr William Angus. Over the following 22 years he was Secretary to the Faculty of Medicine, then Science, before being promoted to the posts of Registry Officer, Clerk to the Senate, and Deputy Secretary. He was then appointed as Secretary to the University in 1988. Mr Begg retired as Secretary in 1999, taking up the part-time post of Director of Alumni Relations. He retired from the University in February 2002. Mr Begg has a lifelong interest in the theatre and over the last 30 years has acted and directed for the local amateur theatre society, Studio Theatre Group (which he co-founded in the 1960s) and other dramatic and musical groups. He has also been a Director of the Edinburgh Festival Fringe Society and Honorary Vice President of Aberdeen Opera Company. Mr Begg made a major contribution to the University during his 36 years service, latterly as Secretary to the University between 1988 and 1999. 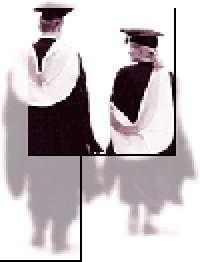 In this period, he played a pivotal role in the preparations for the University’s Quincentenary in 1995, its celebrations and fundraising campaign. The University is recognising his lifelong commitment to the Institution, which began as a student in 1959 and continues to this day as an alumnus volunteer. The winter graduation ceremonies will be held at Mitchell Hall, Marischal College on Friday, November 24, at 11.00am and 3.00pm and on Saturday, November 25, at 11.00am. PHOTO OPPORTUNITIES: You are invited to send a photographer / camera crew / reporter to cover any of the graduation ceremonies to be held at Mitchell Hall, Marischal College on Friday, November 24, at 11.00am and 3.00pm, and on Saturday, November 25, at 11.00am. Media accreditation must be obtained beforehand from the University’s Communications Office, tel: (01224) 272014.